September is a good month to ask some company and port executives how the summer has been. In general: very good! Stena Line doesn’t communicate detailed traffic figures per route. However, the summer has seen a strong development, with a 3% increase of passengers, cars and freight from June to August, says Jesper Waltersson, Press & Media Relations Manager. On the passenger side, the Germany routes and the Baltic Sea routes (Baltic, Poland) clearly stand out. Danske Færger felt the price reduction for trucks on the Great Belt bridge, explains CEO John Steen-Mikkelsen. “It affected the freight figures on the Langeland (Spodsbjerg- Tårs) route.” All routes have made good progress on the passenger and car business, with an increase of 2.3%. Only freight was down, -0.7%. On 1 September Molslinjen took over the Bornholm route. The same company wishes to buy Danske Færger A / S. Approval from the Swedish Competition Authority is being awaited for. Port of Ystad‘s CEO Björn Boström is delighted with this year’s summer. Between May and August the southern Swedish port saw increased on all segments, except for coaches (-1%). Ferry freight went up by 13.9% (in tonnes), with almost 20% more trucks compared to the same period last year. Cars went up 1.4% and passengers 1.7%. The port has also seen increase of 9.9% in the number of ferry calls. 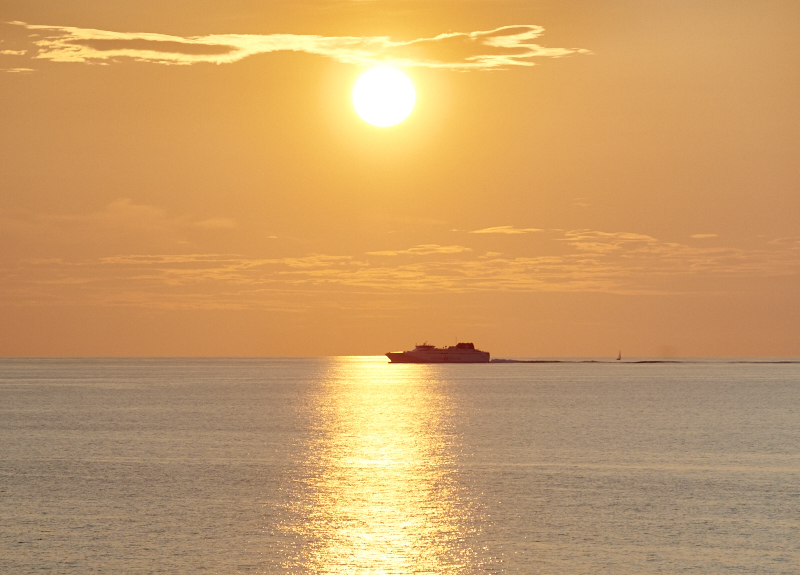 Destination Gotland finds that passenger travel in June-August, to and from Gotland, has increased by 1.7% compared to 2017, which already was a record year. Freight increased by 6.7%, says Christer Bruzelius, CEO of Destination Gotland. The Channel seems to have been busy too. P&O Ferries earlier reported the best tourist carryings for a July on the English Channel in three years, with the hot summer weather inspiring more people to travel between Britain and the Continent by ship.